The Big Island is one of the most unique natural wonders of the world. Whether it's adventure or relaxation you seek, populated beaches or solitude, Hawaii Island has something for everyone. With more than 260 miles (418km) of shoreline, there is so much to explore. Aloha and welcome to the best of Hawaii! We specialize in private sightseeing tours and adventure tours for couples, families and small groups. Let us share our favorite iconic spots with a selection of private and fully customizable Hawaii Big Island tours. For some activities, a tour is your only option. We also have recommendations for group charters like helicopter tours of the volcanoes and hidden waterfalls, or whale watching and other ocean activities. Wherever you explore, you're sure to have an experience you won't soon forget! The nearly perfect climate and stunning beauty of Hawaii Island make this tropical paradise a dream vacation destination. With ten of the world's climate zones, Hawaii Island is utterly unique. 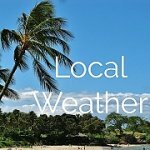 Big Island weather varies considerably from one part of the island to another. 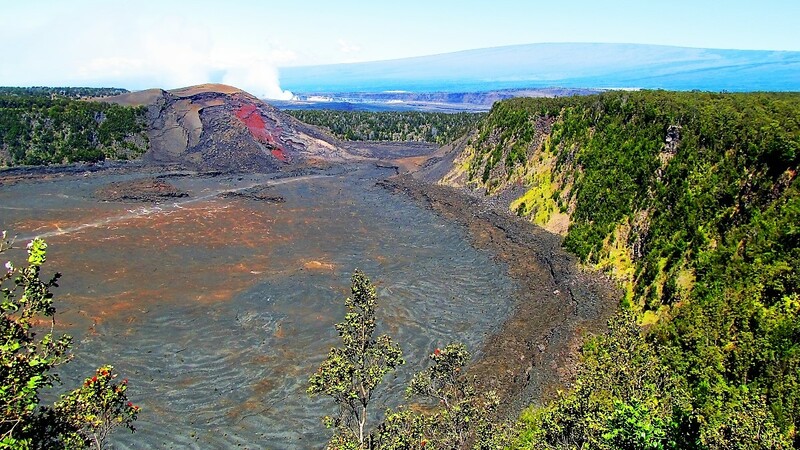 From Kona to Hilo to Hawaii Volcanoes National Park, we've got you covered. Everywhere there is rich evidence of native culture. Feel the aura of the Hawaiian ancestors who landed here more than a thousand years ago. Explore well-preserved villages, temples, and other pieces of their past, lending insight into an ancient way of life. Enjoy the dramatic scenery, rich history, healing energy and an endless array of fun, unique activities. We will help make your next Hawaii vacation the trip of a lifetime. Hawaii Island is geologically unique, made up of five volcanoes. Mauna Kea is the tallest volcano in the world, while Mauna Loa Volcano is the most massive mountain on earth. 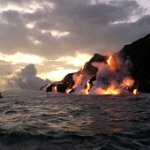 As the youngest and largest island in the Hawaiian chain, the Big Island continues to grow with the ongoing eruption of Kilauea Volcano. While you're here, be sure to explore Hawaii Volcanoes National Park. Hawaii's coastline is both pristine and rugged. While the calm, clear ocean laps gently along soft white sand beaches, not far away waves crash unrelentingly against a lava cliff coastline. The best Hawaii beaches include the unique Papakolea Green Sand Beach and Punalu'u Black Sand Beach. Hawaii Island is home to 14 State Parks, Monuments & Recreation Areas, seven National Parks & National Historic Sites, plus spectacular waterfalls, deep coastal valleys, black, white & green sand beaches. Humpback Whales, Spinner & Bottlenose Dolphins, Manta Rays & Green Sea Turtles (Honu) call Hawai'i home. Meet Nene, the Hawaii State Bird, and Ma'ohauhele, the Hawaii State Flower. With unique reefs, variety of sea life, and stunning water clarity, the Big Island is the best snorkeling and diving playground in all Hawaii. Boogie boarding and stand up paddle boarding have their origins in Hawaii. We have plenty of suggestions for things to do in Hilo, activities in Kona, and adventures all across the Island. 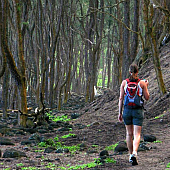 Hiking in Hawaii offers impressive views and great scenery; shoreline trails, deep volcanic craters, valleys along the remote north coast, even hikes around the Kilauea volcano. The Ala Kahakai National Historic Trail traverses 175 miles of dramatic coastline, connecting to many great Hawaii beaches. 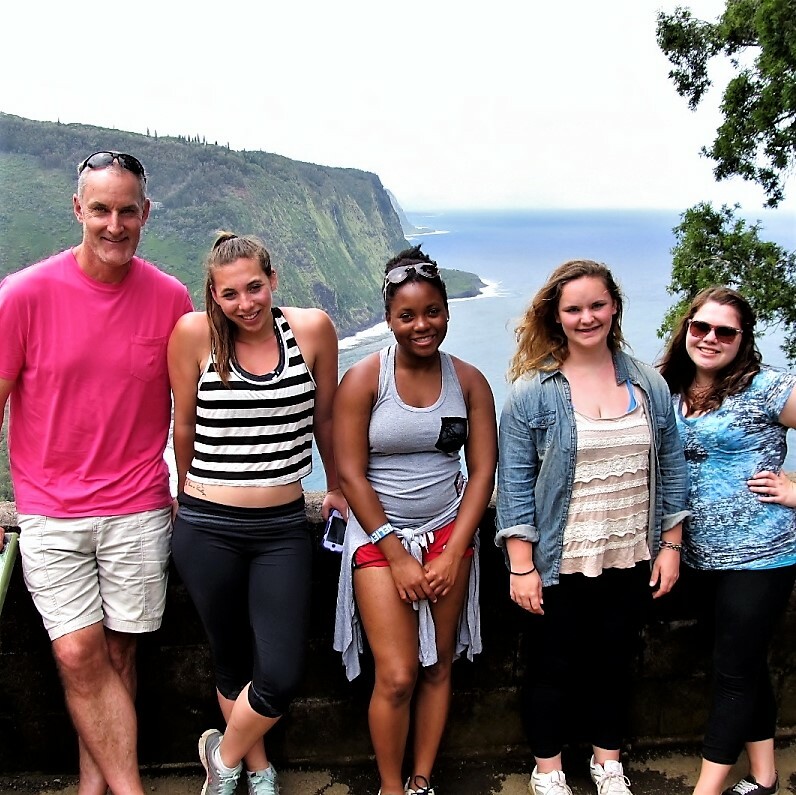 VOYAGES is our Hawaii Student Travel program, exclusively for teenagers. We are changing the world through adventure education and experiential learning. 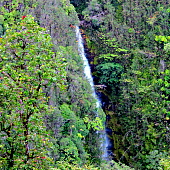 Our outdoor "classroom" is of course Hawaii Island, this incredible paradise of unparalleled natural diversity. 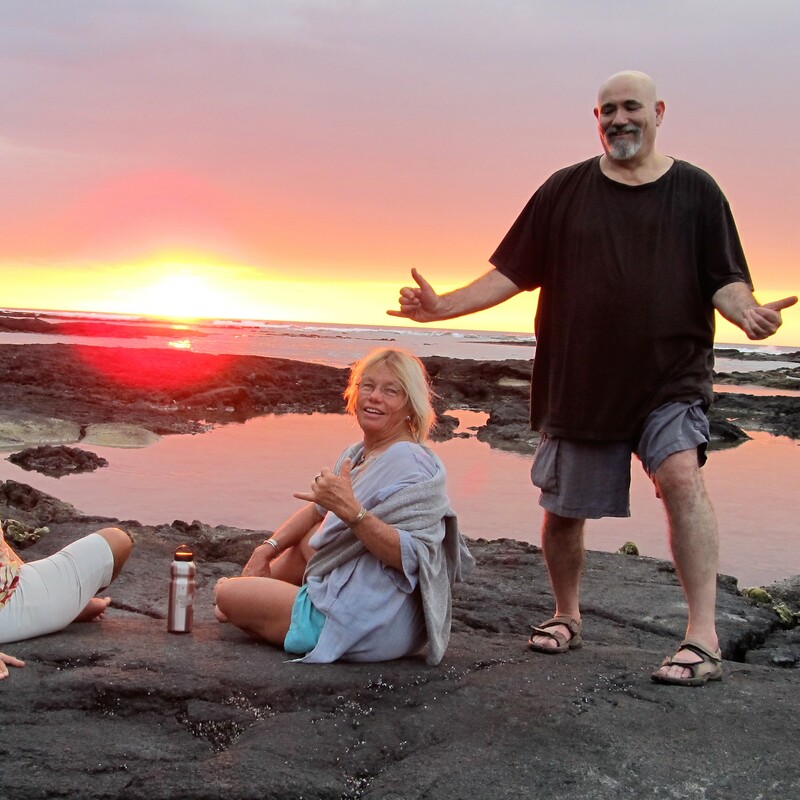 Bring your friends to Hawaii for a fun and exciting week of exploring, adventuring, and growing together. 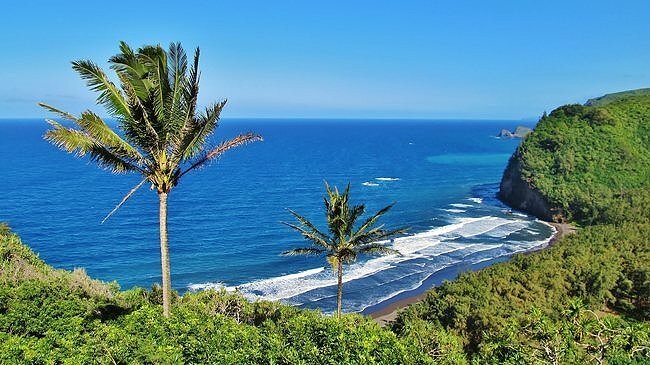 The Big Island is a great place to vacation with the entire family. We've got you covered with everything from the best kid-friendly beaches with tide pools and easy swimming, to a long list of fun family activities and natural attractions, to private Hawaii Island tours. Start here to plan your perfect Hawaii family vacation. Everything you need to know to find the best flights to Hawaii Island. 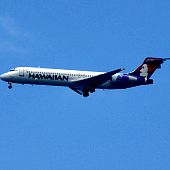 Discover which airlines fly direct into Kona and Hilo from the US mainland, or make a connection in Honolulu or Kahului. With some advance planning and a bit of flexibility, you can find the perfect flight to start your perfect Hawaii vacation. Whether it's a cruise around the Hawaiian Islands or a sail across the Pacific, cruise ships offer a fun and scenic alternative for traveling to Hawaii. 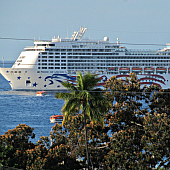 Cruise ships sail to Hawaii Island from Honolulu, San Francisco, Long Beach, Los Angeles, San Diego, Ensenada, MX and Vancouver, BC. Check out the many shore excursions exclusively for cruise ship passengers to make the most of your time in port. 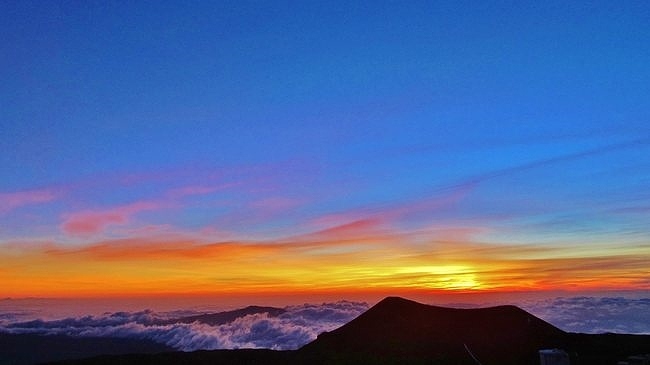 Our Hawaii Travel Guide will help you get where you're going with ease. Check out some of our favorite scenic drives. If you're renting a car, be sure to book it well in advance. The airport has been known to run out of cars, especially during holidays. 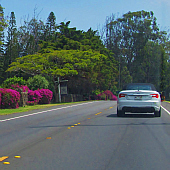 We have Hawaii rental car options for cruise ship passengers as well, plus motorcycle and bike rentals, airport shuttle services and island-wide bus service. Get the best rates on hotels and find the perfect accommodations to fit your style. 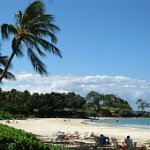 There are many lodging options around the island, including luxury Hawaii resorts with the best beaches along the Kohala coast north of Kailua-Kona, great hotels in Hilo and Kona, plus B&B's and hidden gems in other areas around the island. 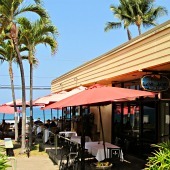 From fine dining to the best 100% Hawai'i Island beef burger to our favorite natural foods store, we can help. 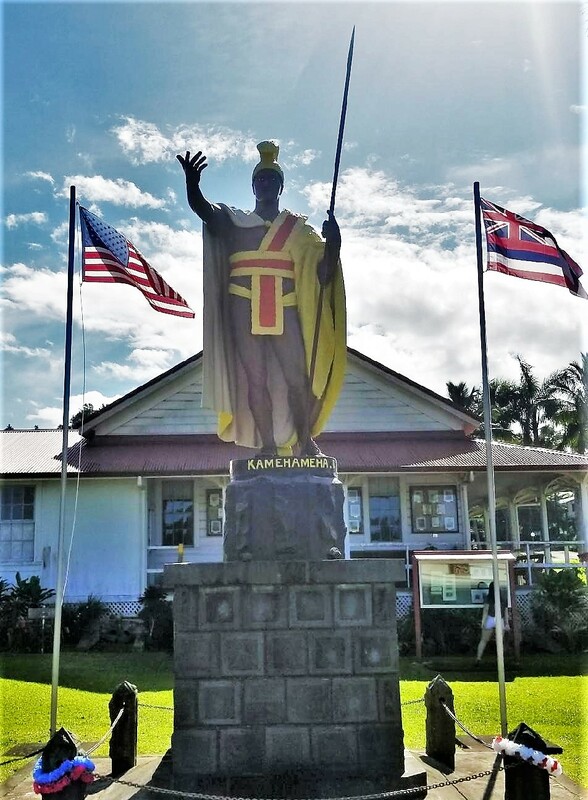 You will find a remarkable selection of international flavors and a wide variety of Big Island restaurants, nearly 500 to choose from across the Island. Already have a favorite? Share your own experience with our readers. 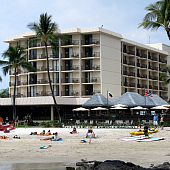 Stay awhile, both here on our site and during your next vacation to magnificent Hawaii. But be careful: you may never want to leave! Visit our Partner Site for Teen Adventures in Colorado!